Snugging shyly in the Western Ghats, Malshej Ghat is one of the most picturesque destinations of Maharashtra. Struggling through the bedlam of the monotonous city life, Malshej Ghat is a perfect and loved weekend getaway destination. Coming under the Pune District of Maharashtra this beautiful land is cladded with the greens throughout the year.Dotted with beautiful waterfalls, seasonal lakes and temples and forts, Malshej Ghat is a dwelling of nature and history and speaks about both in abundance. Situated at an altitude of 700 meters above the sea level, the splendid patio is an abode to migratory flamingos that visit the place in monsoons. Beautifully planned dams, the forts that stand tall, the rugged slopes of the Western Ghats and Buddhist Caves that date back to the 3rd century AD summon up this beautiful region. Malshej Ghat is a hit amongst the youngsters and is euphoria for the trekkers. With sumptuous trails and the misty hills, Malshej Ghat is also an ideal destination for hiking. The dense flourishing forests of the Sahyadri range of the Western Ghats are also a home to a diversified flora and fauna; avifauna being the prime attraction. Malshej Ghat experiences a varied climate. Though the climate remains pleasant for most if the part of the year, the summer months from March to May experience a scorching sun and the temperature shoots up to 40°C. 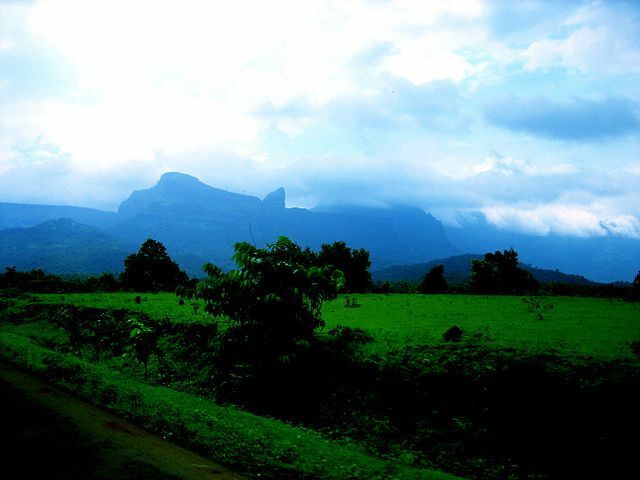 Receiving heavy rainfall during the months of June to September, Malshej Ghat dwells in a pleasant weather. The winter months are misty but the weather remain cool, calm and pleasant with an average temperature of 18°C. The best time to visit Malshej Ghat is the monsoon seasons that lasts from June to September. The placid waterfalls and seasonal lakes welcome the flamingos to spend time here. The place turns to be a magical land during the monsoon months when the gushisng waters of the waterfalls provide the background music and the fresh greens of the region take you by awe. The winter months are also apt to explore the place. It is advisable to avoid the summer months as the scorching sun might take a toll. The most attractive destination for the tourists here are the Malshej Falls. The falls come alive during the monsoon season gushing gallons of water making the entire view splendid. Apart from Malshej Falls there are countless nameless falls also that meander during the season. Malshej Ghat is bird watchers paradise and people come here to watch migratory avifauna including the orange and white flamingos. Shivneri Fort, the birth place of legendary Shivaji Maharaj is also in the vicinity of Malshej Ghat and speaks volumes about the history of the Maratha Empire. Shivaner, the place where Shivaneri Fort is situated, is also known to be dominated by the Buddhists during the 1st century AD and has caves dating back to the same time. Harishchandragarh Fort is also a famous tourist attraction of the region. With temple of God Vishnu and his imprints and idols, the fort is also well-known for the area where it is erected. Offering a panoramic view of the greenery around the region Harishchandragarh peak stands on the semi-circular arc called the Konkan Kada. Also Pimpalgaon Joga Dam built on the River Pushpavati is also a magnificent scape. Malshej Ghat is connected through road by the cities surrounding it. Since it is yet an unexplored destination the buses from the cities like Kalyan, Pune, Mumbai and Ahmednagar ply at regular intervals though not as much frequently as expected. The nearest rail head is at Kalyan while the nearest airport is at Pune. One can hire private taxis or cabs from the cities or opt for personal vehicles to explore this majestic place. With very few options available for accessibility it is preferred to travel by a personal vehicle. Also the options for lodging are limited though it has both resorts and budgeted guest houses. It is advised to pre-book the accommodation as a lot of tourists flock to Malshej Ghat during the weekends.